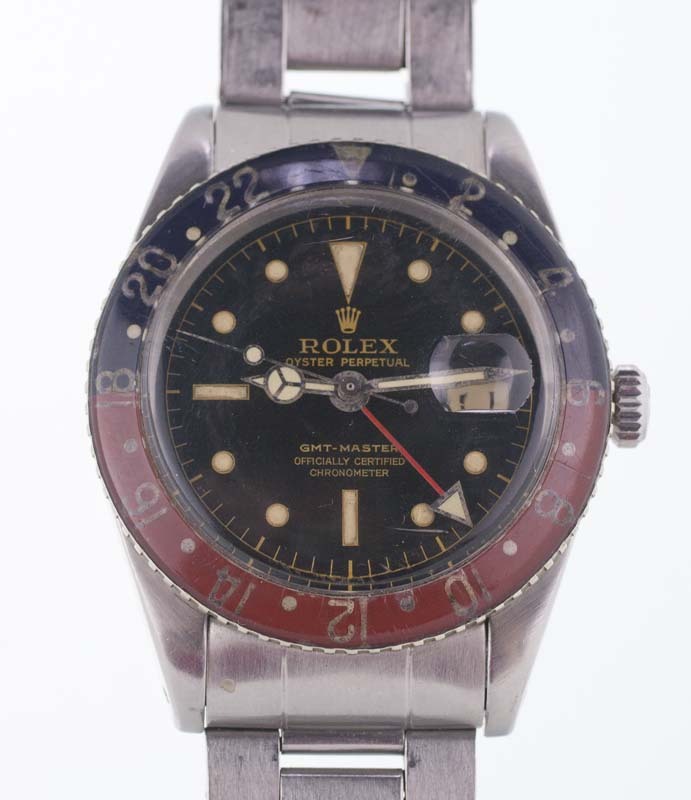 This Rolex GMT 6542 has managed to keep its original bakelite bezel since leaving the factory in 1956. 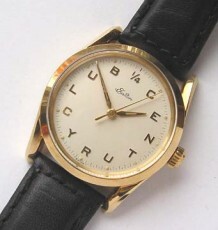 This watch has managed to remain in the original owners family since bought new in 1956. The watch features the original gilt dial that it left the factory with and has been serviced at Rolex numerous times since new. A quick look inside the caseback will reveal many such instances. 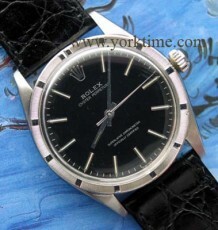 More recently the watch was serviced at Rolex Canada in 1989 and 1998. The service documentation is included with the watch. Of particular interest is the cost for the service work. 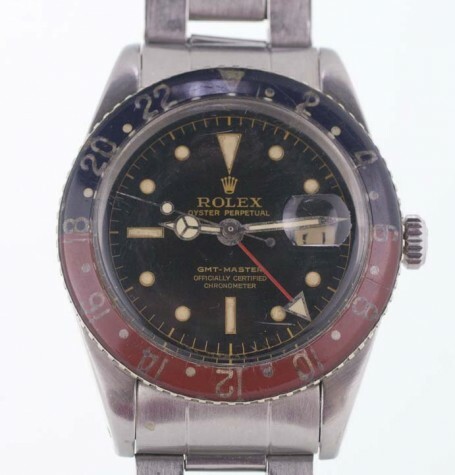 In 1989 Rolex charged $70 to service this vintage GMT. nearly a decade later it had ballooned to $150! The watch is fitted with a near mint perpetual calibre 1065 movement that is keeping excellent time. 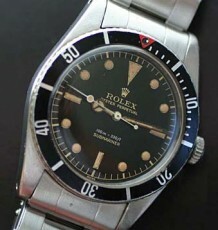 At some point over the years and prior to 1989, Rolex changed the hands on the watch but left the bezel installed. 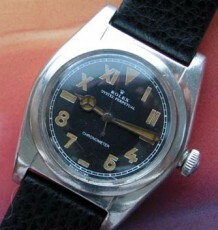 The dial is in excellent condition with only some minor patina on the dial. The small white line at 5 o’clcok is actually a small mark on the crystal not the dial. The watch also comes with the original riveted Oyster bracelet which has been shortened but comes with 3 extra links. The steel Oyster case has not been polished in almost 30 years and is still quite fat and has no corrosion. Its rare to find one of these watches with an original bezel and not withstanding the hands is and excellent example of a pioneering model from Rolex in the 1950’s.